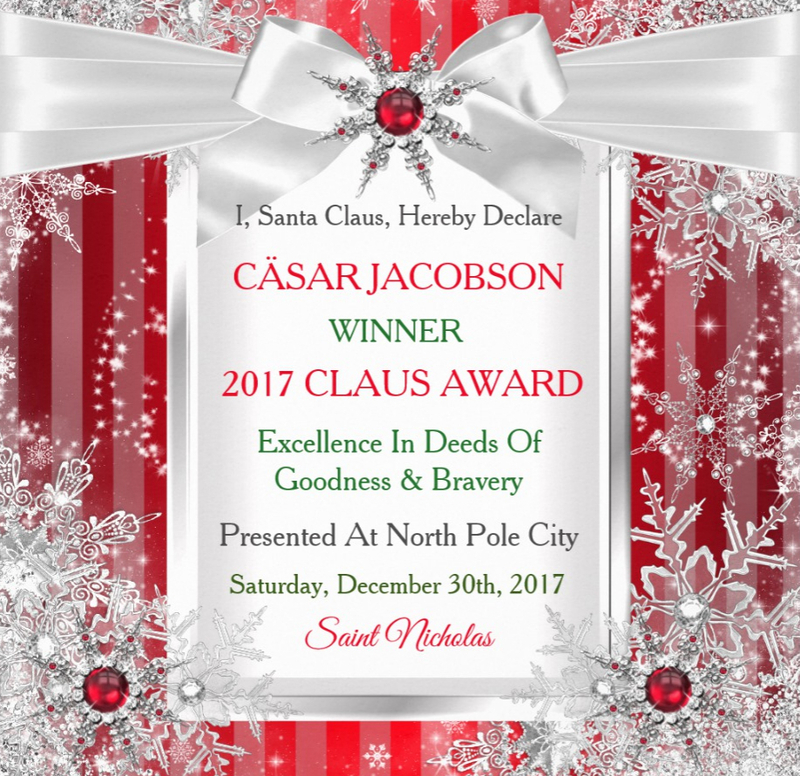 It is with great enchanted elation I, Saint Nicholas, do hereby announce the twelve nominees of the 2017 Claus Award For Excellence In Deeds Of Goodness & Bravery. My recognition, and reward to those who give of themselves in the battle against the forces of darkness, the quest for peace, and the betterment of humanity. The pinnacle of awards in the paranormal community! 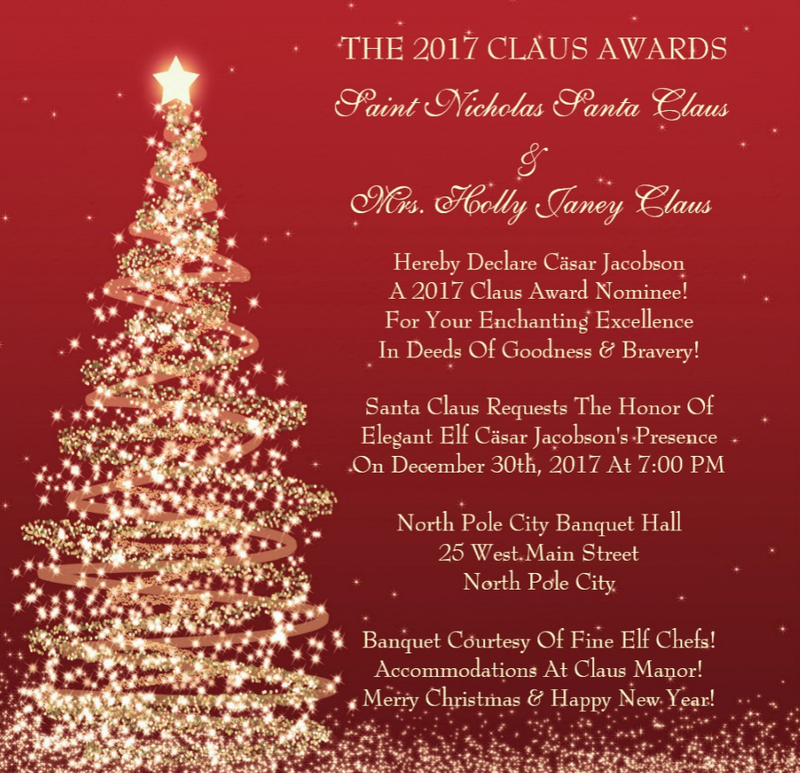 All nominees stay as my personal guests at Claus Manor. The Winner receives a terrific trophy, certificate, and personal guidance from all of us at North Pole City! There’s also two other awards. The Claus Lifetime Achievement Award for those with a long expansive history in the supernatural world. There’s also the Claus Enchanted Entities Award for non-corporeal beings such as higher dimensional Gods. However they may be in physical form if they so choose. These awards winners are announced in advance without any nominees. 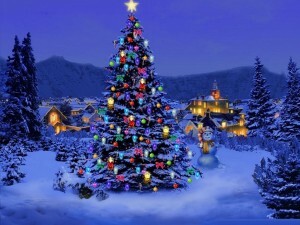 The Claus Awards have been taking place annually on December 30th at 7:00 PM since 1742! The 2017 Special Claus Lifetime Achievement Award will be presented to Becky The Vampire Slayer. After retiring last year she looks back on over 40 years of protecting humankind from the demonic vampire scourge! The 2017 Claus Enchanted Entities Award will go to Goddess Gaia Mother Earth, aka Mother Nature. As the spirit of our paranormal planet she has persevered in preventing the destruction of our Earth at the hands of human civilization. She remains patient in her love of humans and hopes they will soon strive to be in tune with the nature of her body that is our home! 2014: Special Claus Lifetime Achievement Award was presented to Mystic Investigations! 2016: Special Claus Lifetime Achievement Award was presented to the California based ZombieCorp, Inc and their continued prevention of the dreaded Zombie Apocalypse! 2016: Claus Enchanted Entities Award went to Jack Frost.